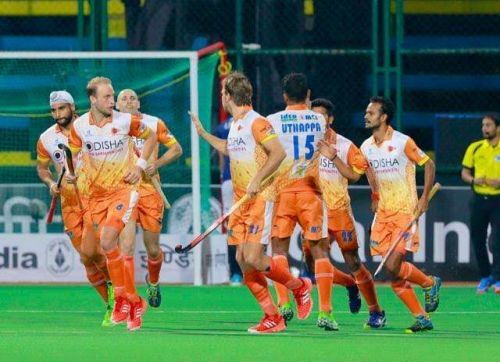 New Delhi, Nov 3 (PTI) The revamped Hockey India League (HIL) will return in 2019 in a new avatar with a more fast-paced five-a-side format replacing the traditional 11-a-side event. "The HIL will be held next year (2019) in November-December in a completely new avatar. It will be a five-a-side tournament with the franchises fielding both men's as well as women's teams," the HI official told PTI on the sidelines of the 46h International Hockey Federation (FIH) Congress here. The HIL's future looked uncertain after five seasons when Hockey India postponed the 2018 edition. This was after some of the franchises threatened to withdraw having incurred financial losses. "Besides the men's and women's events, a mixed team event will also be there. So basically, it means there will be three trophies up for grabs. These changes will help franchises save a lot of money. Out of six franchises, four have already agreed to our proposal," the official said. "The men's and women's matches will be held simultaneously -- one in the morning and other in the evening. A 5-a-side hockey game of just 30 minutes will not be an issue," the official, who is working on the proposal said. "Delhi has decided to quit the league. They claimed they were incurring huge losses. But JSW now has replaced Delhi," he said.